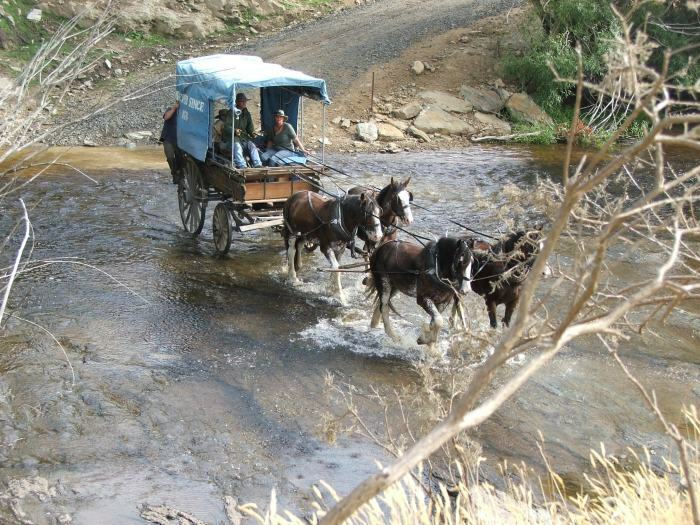 For the last 25 years, a collection of 19th century horse drawn vehicles have re-enacted one of the most dramatic cross country journeys in the southern hemisphere. On November 22, 1991, the first Goldfields Cavalcade departed from Rockland’s Station, just outside the small South Island town of Middlemarch, and headed inland over the Dunstan Trail to Cromwell. It re-traced the route taken by the first Cobb and Co. coach that left Dunedin on November 22nd 1862 and headed to the Dunstan Goldfields. Over 220 people participated in the inaugural Cavalcade along the Dunstan Trail, with 240 horses, a gold coach, wagons, carts, gigs and buggies. There was a time when numbers declined and there was talk of the event folding but in recent years, with internet exposure, younger people have been attracted to the ride and infused new life into the event. Although the wagons, buggies and gigs have declined in the past few cavalcades because fewer people know how to use them, making the journey on horseback is now more popular than ever. Each cavalcade has its own special dynamic and no two are the same with the destination host town, changing every year. This allows regular participants the opportunity to learn more about the chosen destination’s association with Otago’s gold rushes. Each town goes out of its way to create a memorable atmosphere because they realize it’s their one chance to impress the cavalcade riders with the hospitality most small New Zealand towns are noted for. People of all ages go on the cavalcade but the vast majority are over 40, with a number in their 70s and even 80s undertaking the 4 day event. Many return year after year because as they tell the media at the end of the trip, it’s the special camaraderie and atmosphere that appeals to them. Traveling slowly with horses, allows plenty of time to appreciate the magnificent scenery the cavalcade travels through, and spending nights camping in the open countryside with like minded riders is also a unique experience and part of the appeal. This year, the cavalcade was blessed with fine, settled, sunny weather but there have been years when the weather has been hell with driving rain, strong, cold winds and even sleet to make the whole experience totally miserable but the weather in this part of the country is always unpredictable and it’s a risk every rider is happy to take. They understand that the early gold miners who blazed the Dunstan Trail had to contend with the same weather and they had no comfortable emergency accommodations to flee to as is the case today. Extending 175km, the Dunstan Trail was the shortest route at the time from Dunedin to the Dunstan Goldfields but because it traversed the barren high country of Central Otago, miners were often caught in blizzards and deep snow in the winter, and searing heat in the summer where there is not a tree to be seen anywhere. Known at the time as the ‘Mountain Track’ it was a desolate and dangerous way to reach the interior. At its highest point, the trail reaches an altitude of over 1000 metres to cross Rough Ridge. Unfortunately, a considerable number of miners died in this isolated part of the country. The atmosphere of the Dunstan Trail is unique in New Zealand. I have traveled part of it in a car and I have to admit, it was scary in places because of the narrowness of the track, and the isolation of the area provided a somewhat melancholy feeling. It’s as though the ghosts of the miners who perished on the rough trail, were watching from the clouds that raced across the wide sky above. This is big country and is the furthest part of New Zealand from the sea. If the car broke down, there were no service stations or villages anywhere nearby to obtain assistance. The stiff breeze I encountered, carried the sweet scent of wild thyme that fills the air in this part of Otago during the summer months. Traveling along the Dunstan Trail was a memorable experience for me and one I’m pleased I’ve had. This year’s cavalcade ended on the 4th of March in the Central Otago settlement of Omakau. The town came into existence when the Central Otago Railway opened in 1909. It became important for livestock transportation. In fact, in the early 1900s, Omakau had the busiest stock loading station in New Zealand. Today, just 250 people live there. It is proud of its hotel built in 1898 and its cute little former Bank of New Zealand building. Omakau also hosts the annual Central Otago A&P Show. This farming event attracts visitors from around New Zealand. 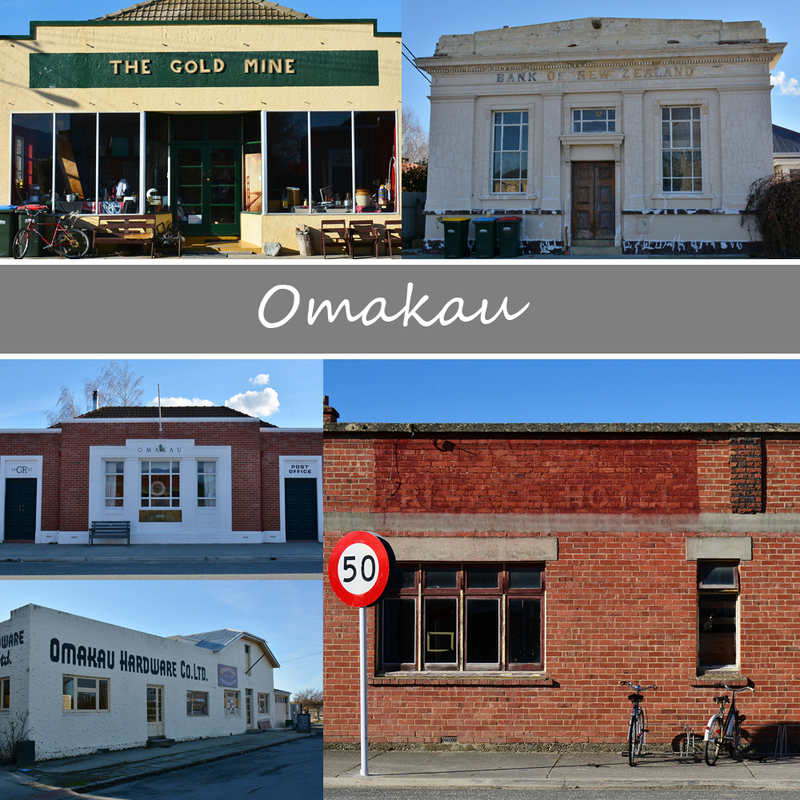 Being beside the most popular Rail Trail in Australasia, Omakau is once again a lively town and hosts international visitors all year around. In 1994, walking trails became part of the Cavalcade and are now one of the most popular parts of the annual event. Walkers of all ages and nationalities are given the opportunity to amble over the hills, taking their time to admire the scenery this part of the world is noted for. There are a number of tracks to chose from ranging in length from 5 to 25kilometres. These tracks take you through some of the most stunning Central Otago High Country landscapes, involving good climbs and descents with numerous creek and river crossings. The Lindus Peak Track not only offers an experience of the South Island’s high country, but also provides spectacular views of the Southern Alps and Mt. Aspiring, which add to this particular walk’s attraction. 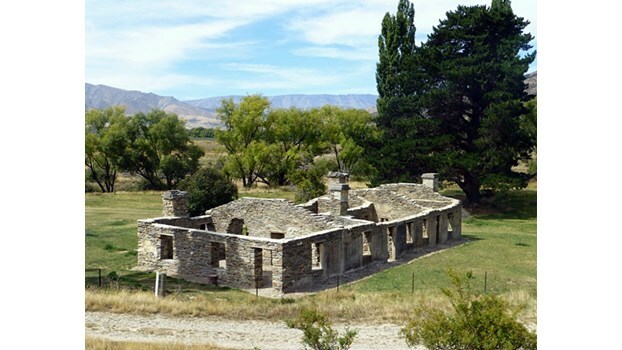 The Lindis Peak Track passes lovely stone ruins from the gold rush days to bring the history of Central Otago alive. With New Zealand drawing more overseas tourists than ever before, the country’s history has been added as an attraction, especially when it is set in the world famous scenery this part of the country is blessed with.